1. 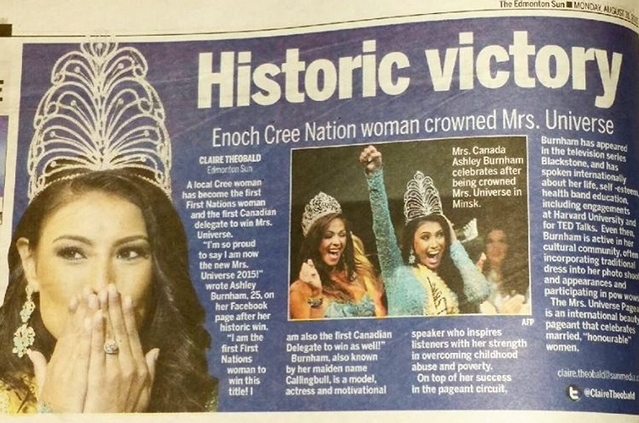 Ashley Callingbull is the first aboriginal winner of Mrs. Universe. She's a part of the Enoch Cree Nation of Alberta, Canada. The Enoch Cree Nation is a First Nations band in Alberta that is part of the Cree language group. It is also part of the larger Yellowhead Tribal Development Foundation tribal council. This band controls two reserves – the larger Stony Plain 135 Indian Reserve on the western edge of the City of Edmonton and the smaller Stony Plain 135A Indian Reserve 43 km south of the Town of Barrhead. She is very devoted to her culture and people, and takes pride in her Native Cree heritage, and has shown this through her volunteer work with community elders and aboriginal youth. By the time Ashley reached 10 years old; she had consecutively won all Enoch’s princess crowns. She is a professionally trained dancer in tap, ballet, jazz, pointe and performed in the Nutcracker. 2- She's getting political, and she doesn't care if you don't like it. On her first day as Mrs. Universe, she basically urged all First Nations people to vote out the current Canadian prime minister. She responded to critics on a Facebook post that got over 12,000 reposts and counting. 3- First Nation Woman and Warrior: She also said this: "We need to all come together and protest what we deserve as human beings. We can't be silenced by our governments." 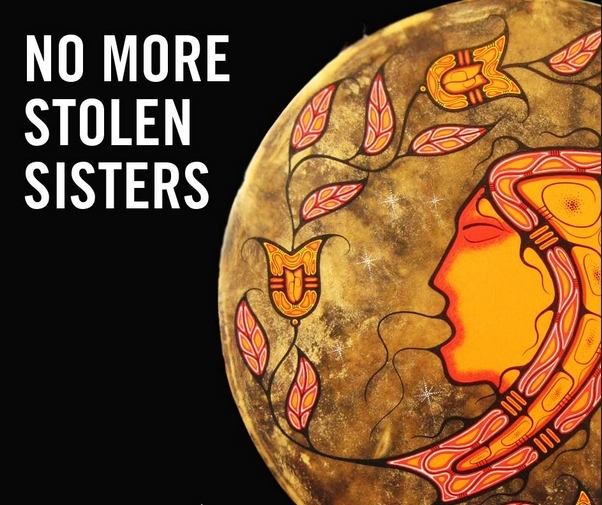 4- She's a big supporter of No More Stolen Sisters, an organization that is trying to raise awareness about the BIG problem with injustice against indigenous women. 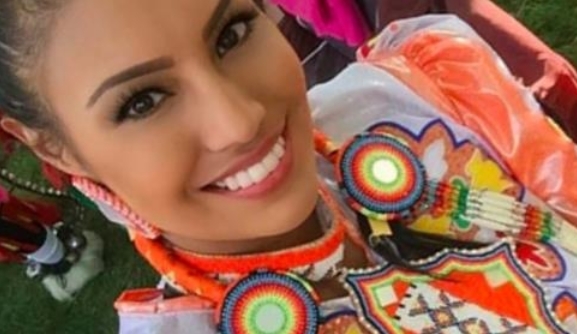 Responses to "New Mrs. Universe and Warrior for the people: 5 facts about Ashley Callingbull"
Ashley, continue your fight to make issues public. You have a platform to help all Native People. Stay strong, keep us in the forefront .